The management consultants salaries consultants is a recurring question mark for candidates considering careers in consulting, and it is legitimate. In general, it is necessary to distinguish between consulting niches. Strategy consulting leads the field and gives rise to the highest wages, as expected. In strategy consulting firms, the average wage is higher by 20-50% than the salary of a manager in a typical company in a different sector. This is true at the beginning of one’s career. Because after a few years, the salary of strategy consultants truly stalls, on average. For example, a partner in a large consulting firm could often earn more than one million Euros per year. But for these positions at the top of the scale, there are few chosen. Investment banking, whether in M & A and financial markets. In this type of business, bonuses are greater than in strategy consulting. Entrepreneurship, when it works, of course. It will not be in the first year of launch of your start-up that you have the same income as a McKinsey consultant. Then take into account the type of consulting firm. The small strategy boutiques will likely pay you more in your early career in order to have an attractive argument compared to the largest firms. Thus, I was offered a higher salary in a boutique during my recruitment, about $10,000 USD more than BCG and McKinsey. I declined this offer anticipating that the added value of a top-tier firm was worth perhaps more than $10,000 USD per year. With hindsight, I think I really made the right choice. On the other hand, even if starting salaries are often more attractive, boutiques cannot compete with the large firms when it comes to two to four years of seniority. Boutique consultants reach, then, a limit which clearly distances them from the large firms’ senior consultants. The salaries of partners and even managers must be put into perspective — remember that a manager position is the one just below partner — these people often reach the decent income of the members of Executive Committees of some Fortune 500 companies! Finally, do not forget that the state of mind of consulting does not focus on salary. 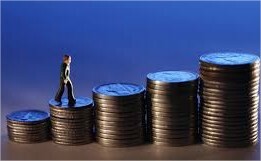 When, for example, analyzing the weight of the criteria of comparison between consulting firms, the criteria “wages” appears in third or fourth position, well behind the prestige and challenge of the assignments.